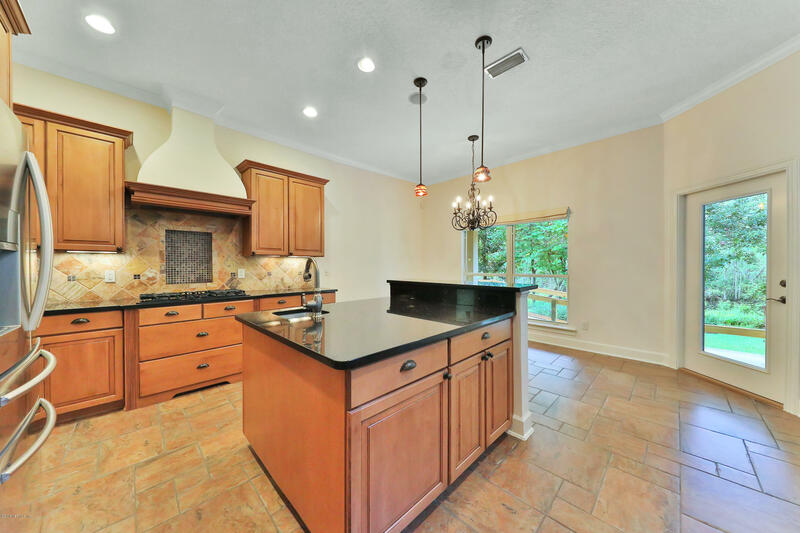 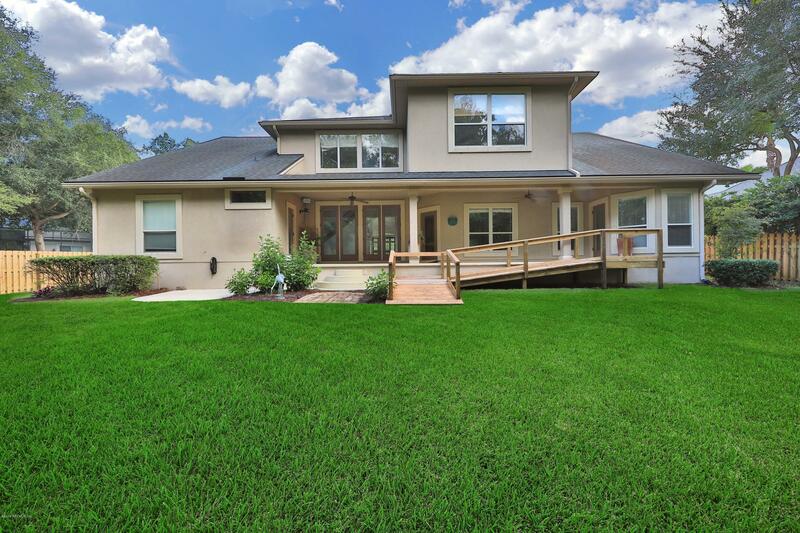 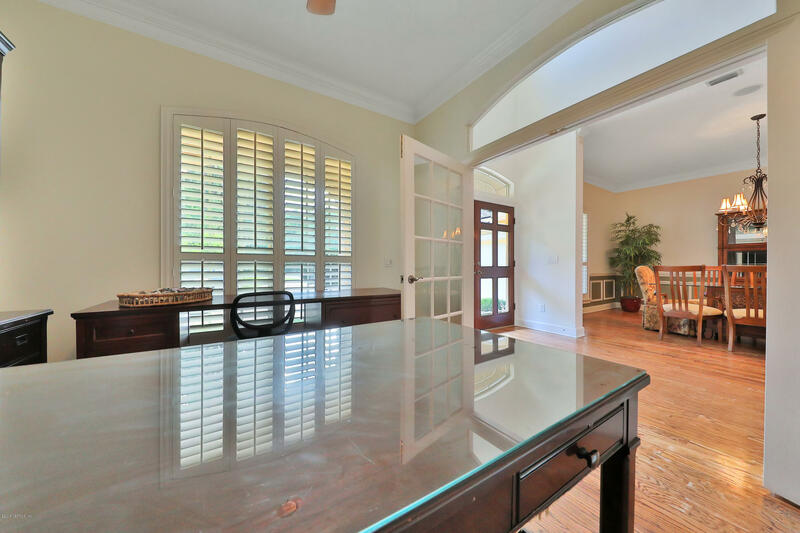 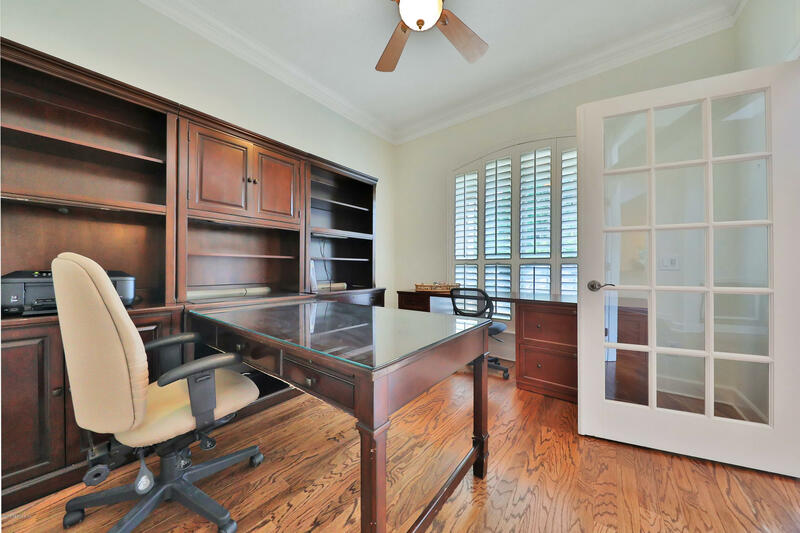 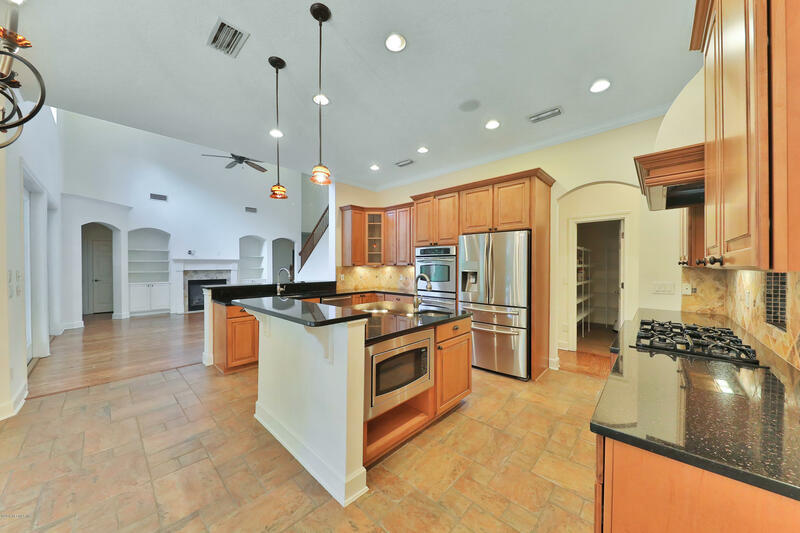 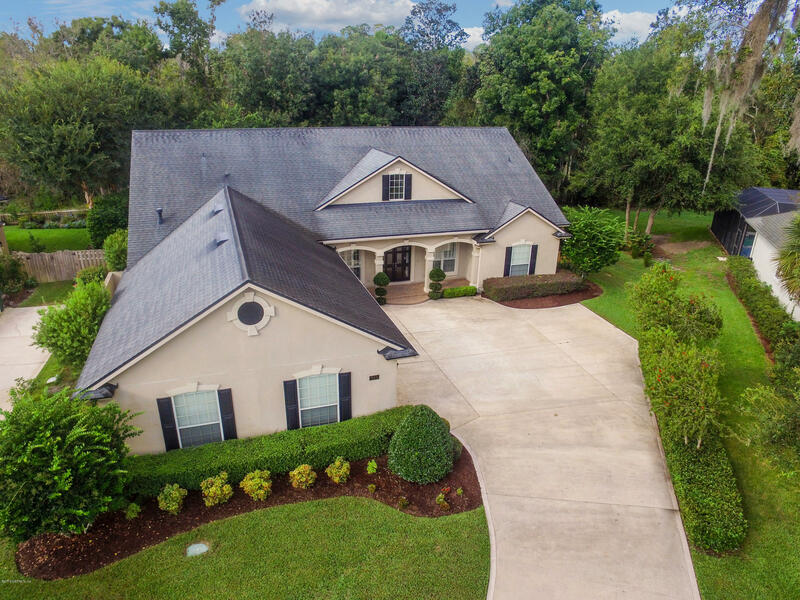 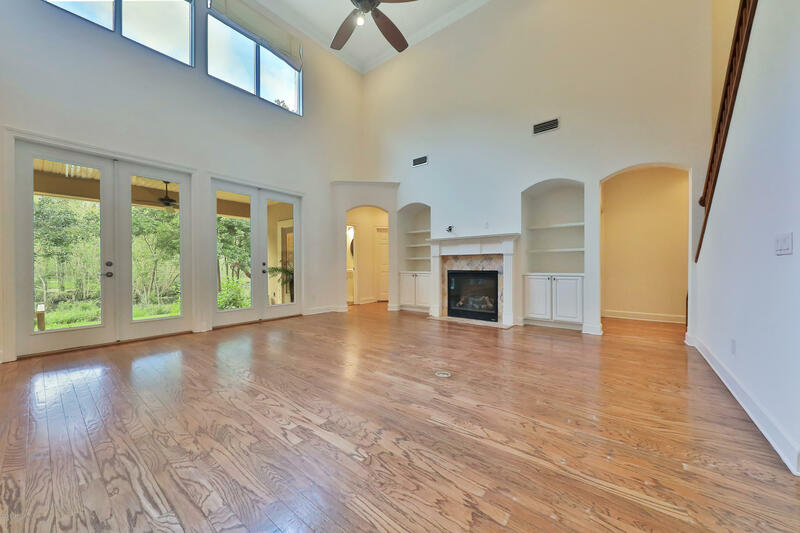 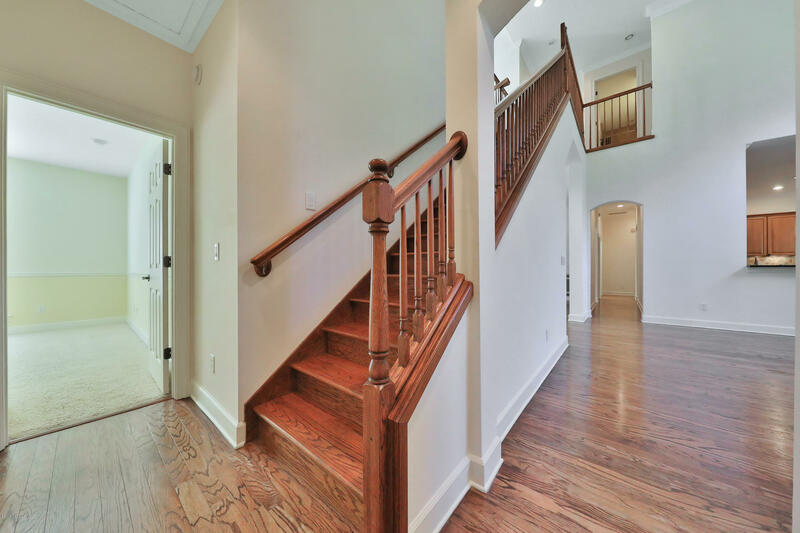 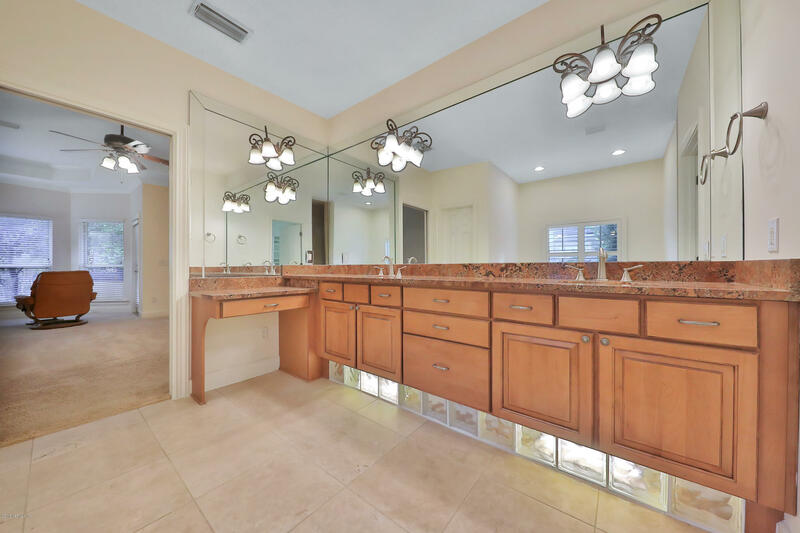 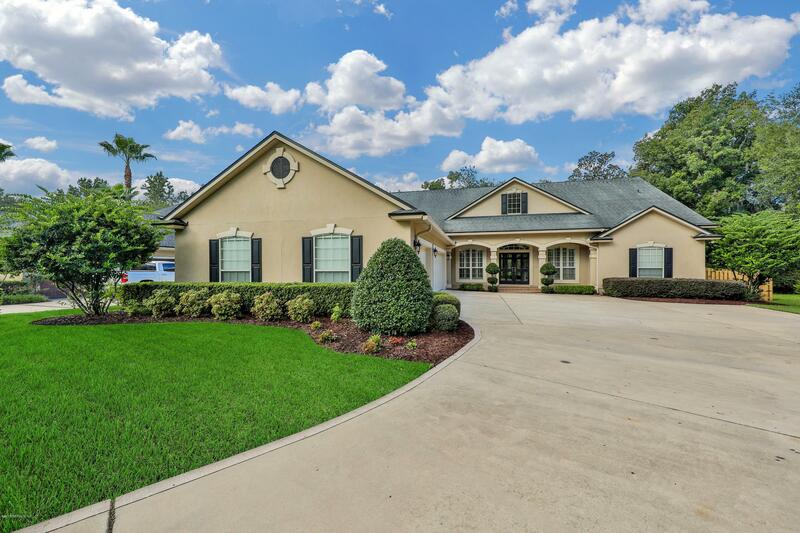 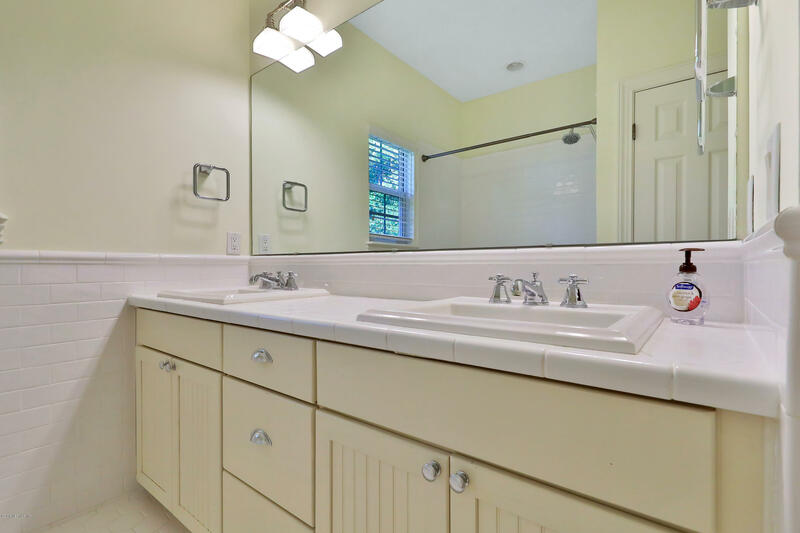 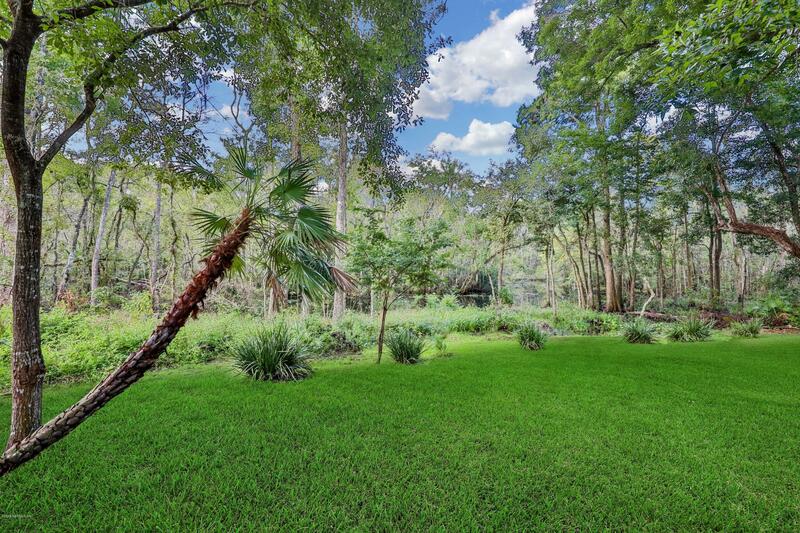 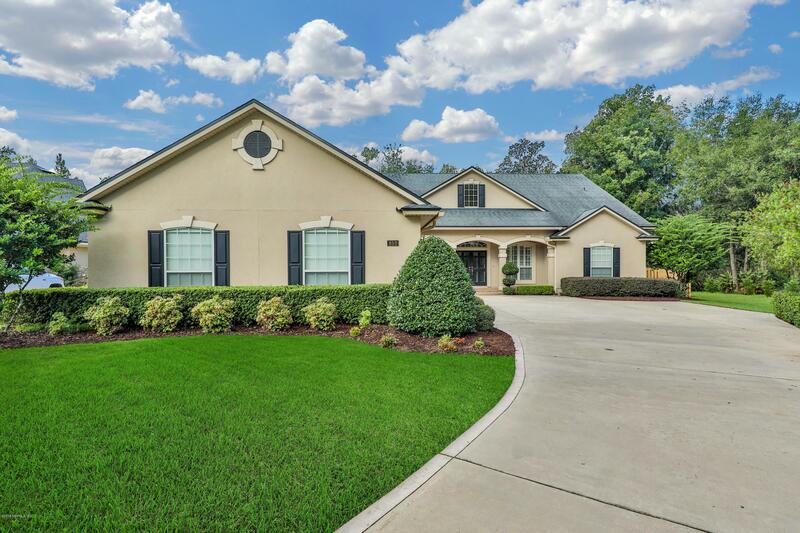 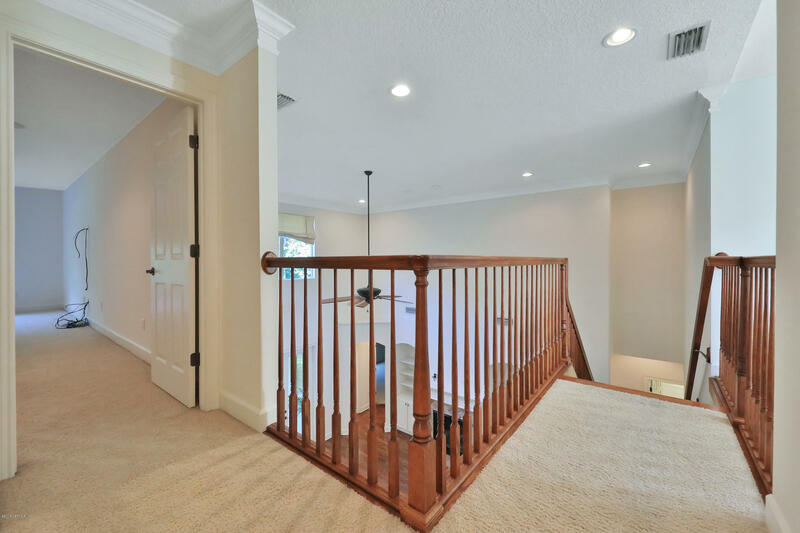 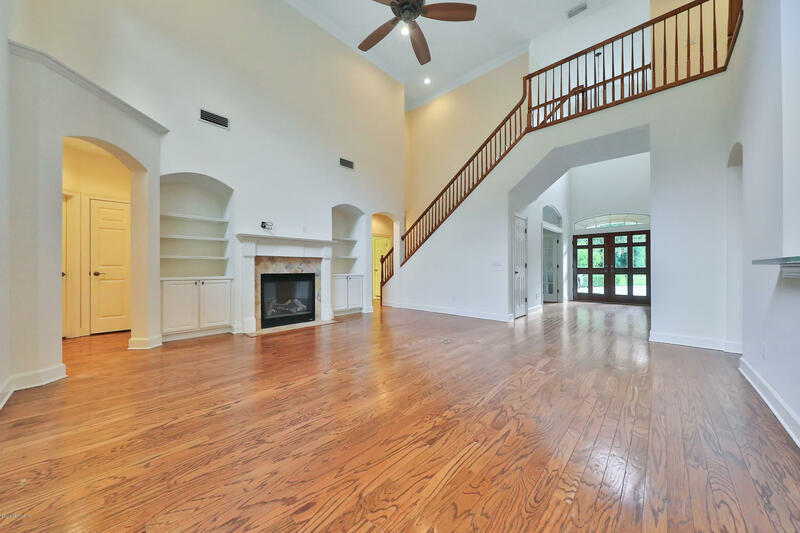 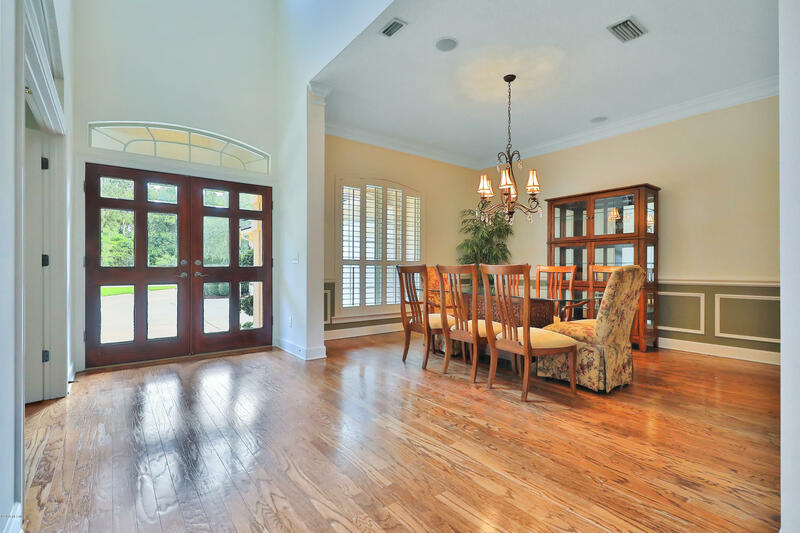 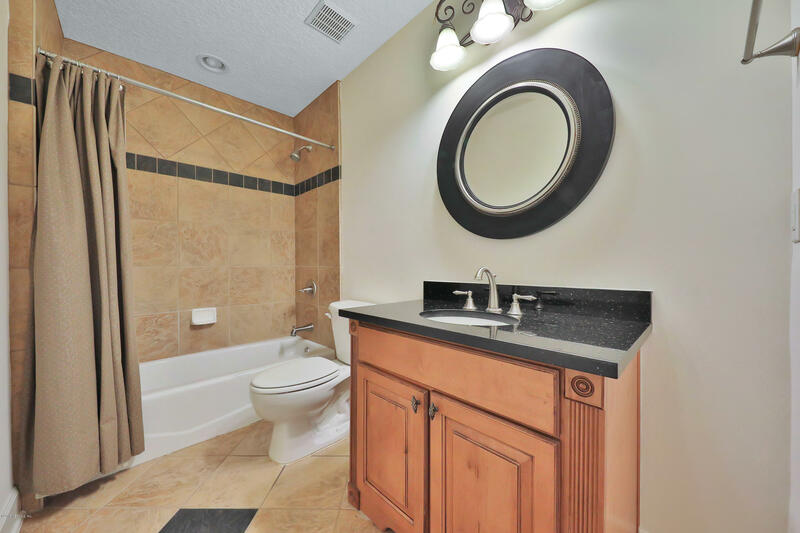 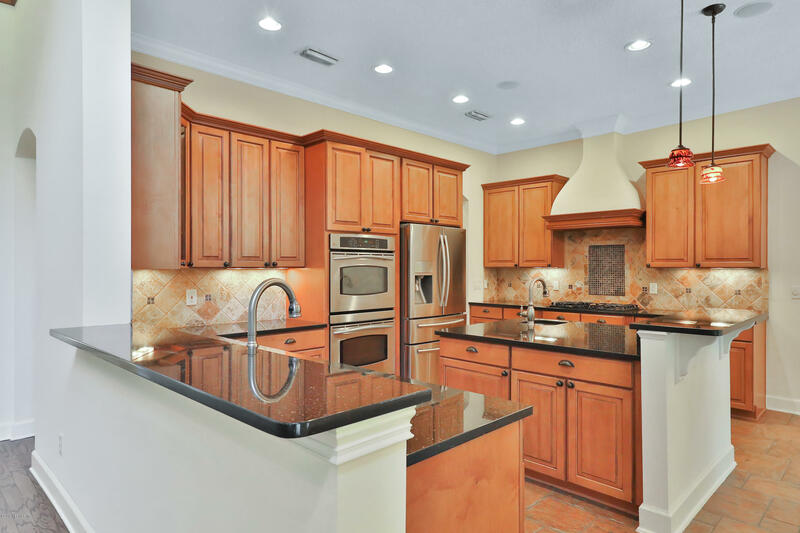 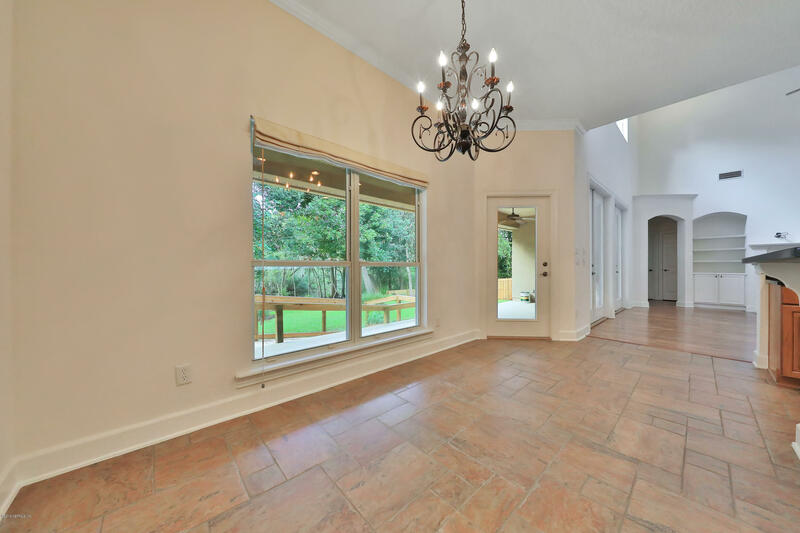 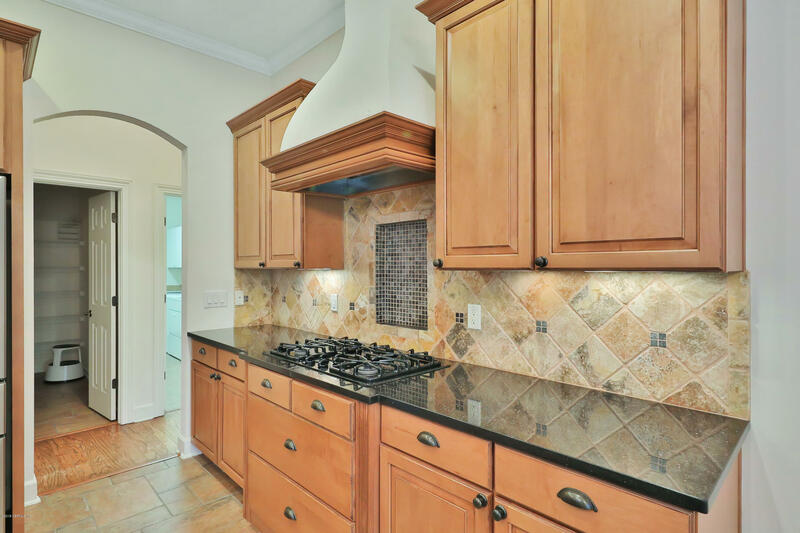 Beautiful Gated Plantation Estates Creek Front Home! 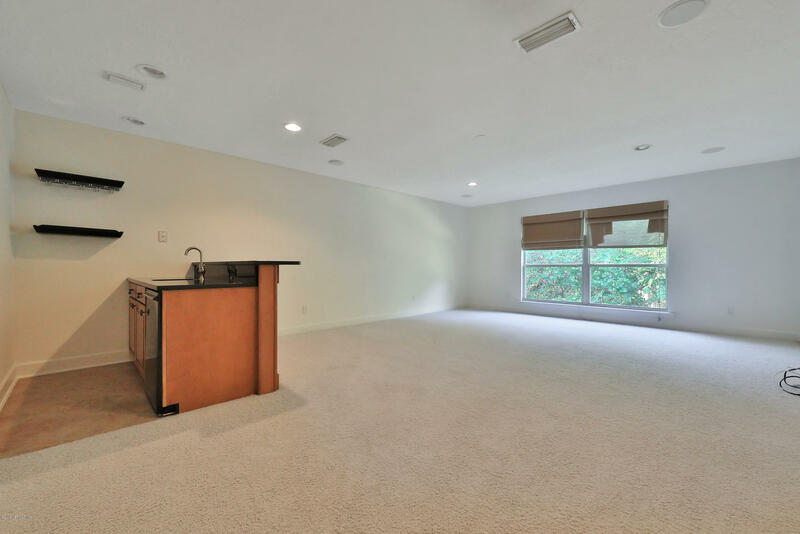 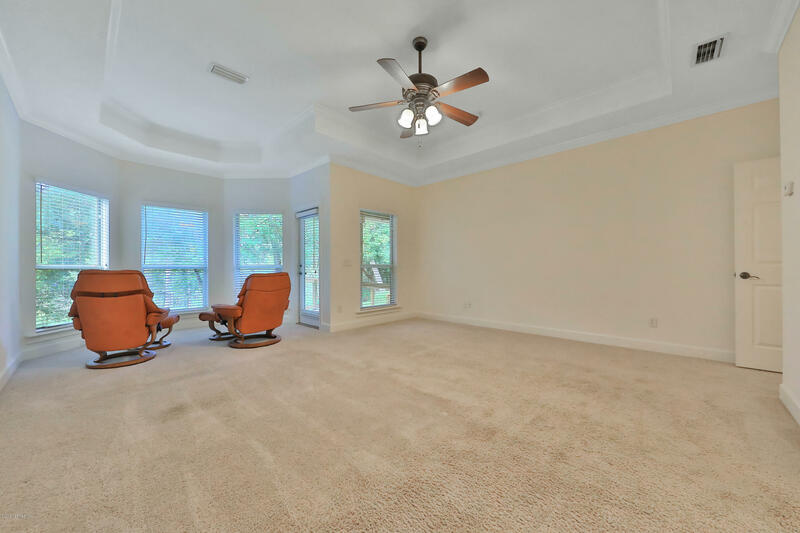 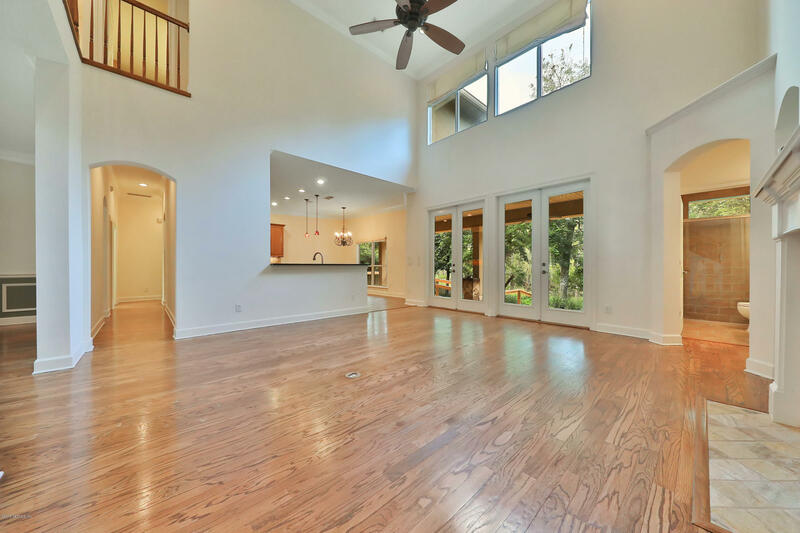 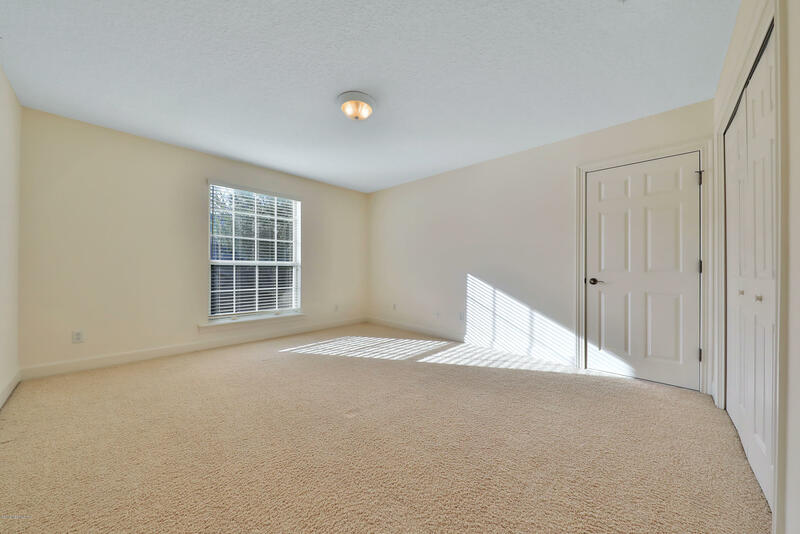 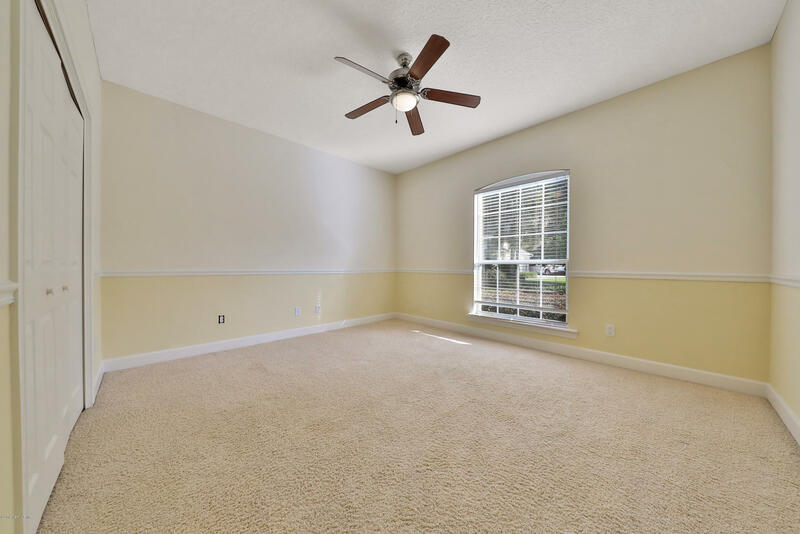 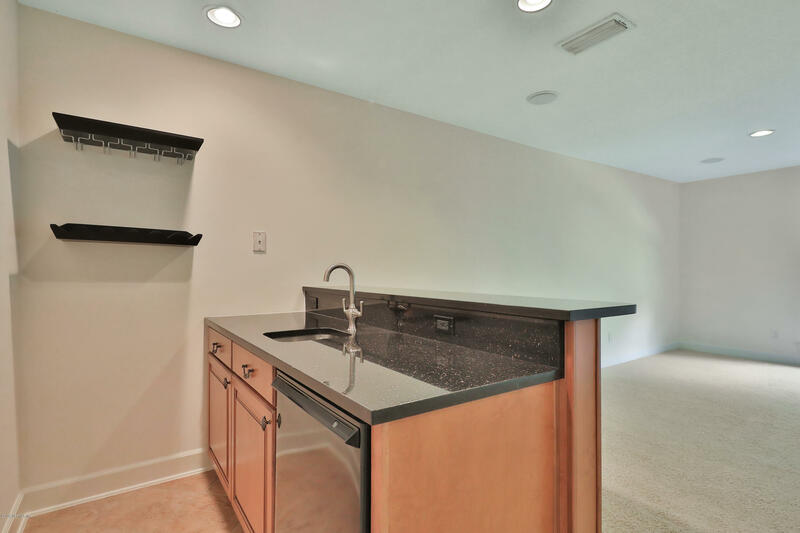 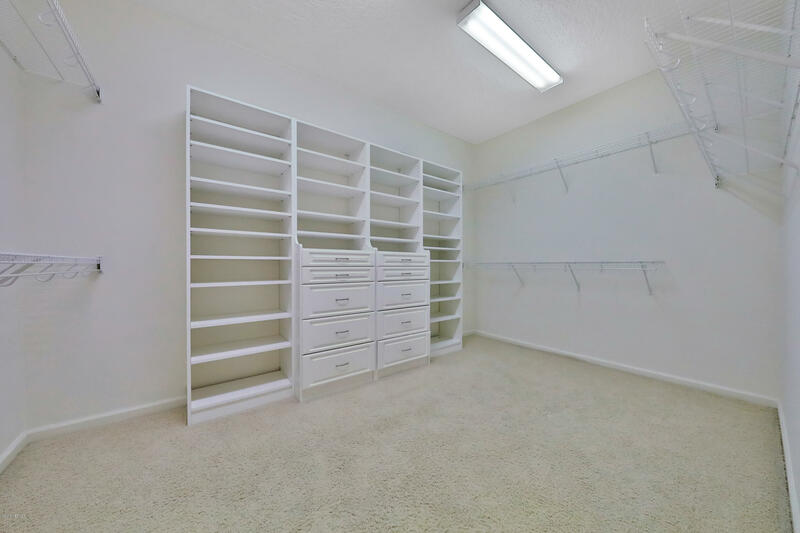 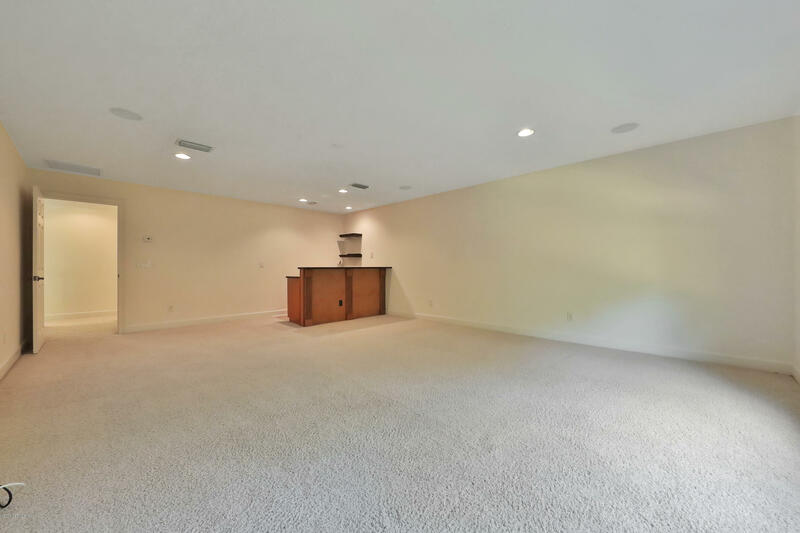 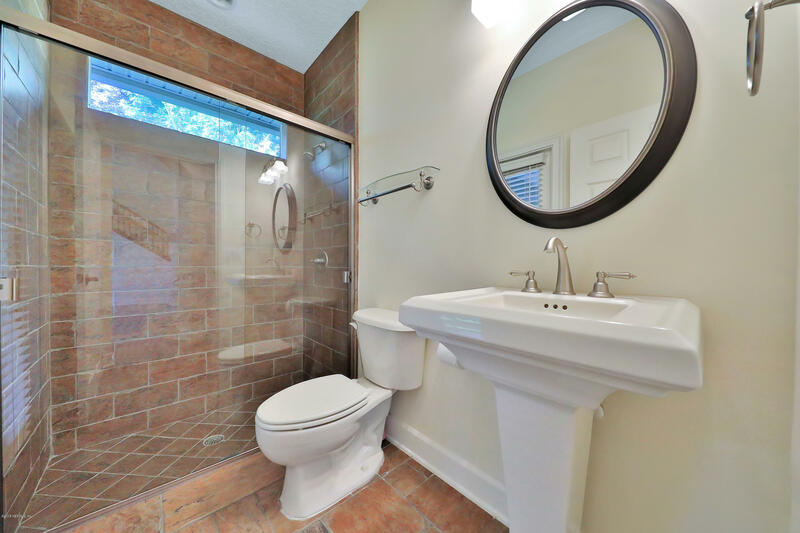 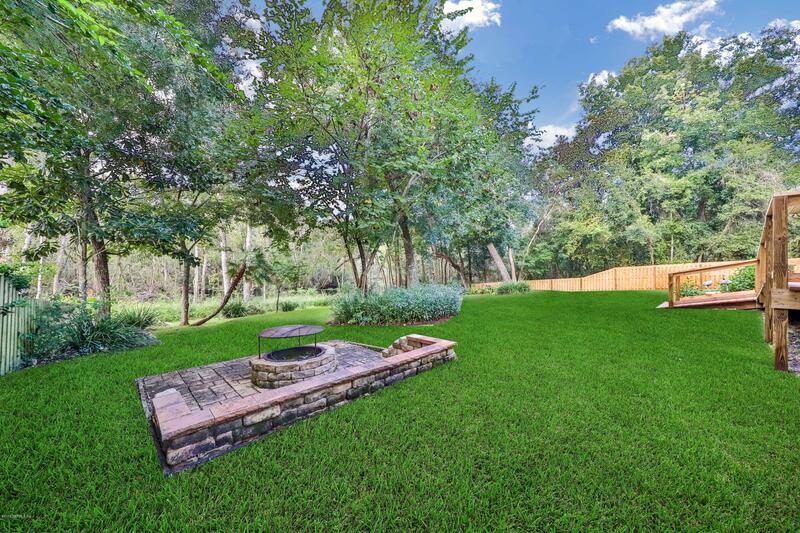 5/4 w/large bonus room & wetbar, 5th bedroom upstairs & bathroom.Backyard is private & tranquil & the view is unbelievable.Private fenced backyard.outdoor firepit, covered lanai w/gas grill line,pre-wired for future pool.Gas Fireplace,interior freshly painted,crown molding, plantation shutters,wood floors,kitchen w/granite,double oven,upgraded cabinets,formal dining room,office w/french doors,master has jacuzzi tub,oversized closet,bay window w/views of the creek.extended 3 car garage, extended driveway,courtyard entry,cul-de-sac estate size lot. 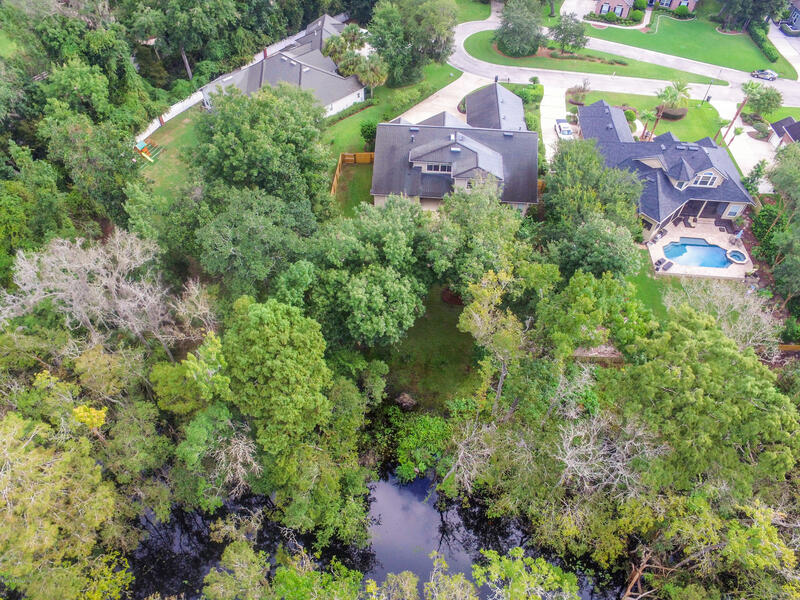 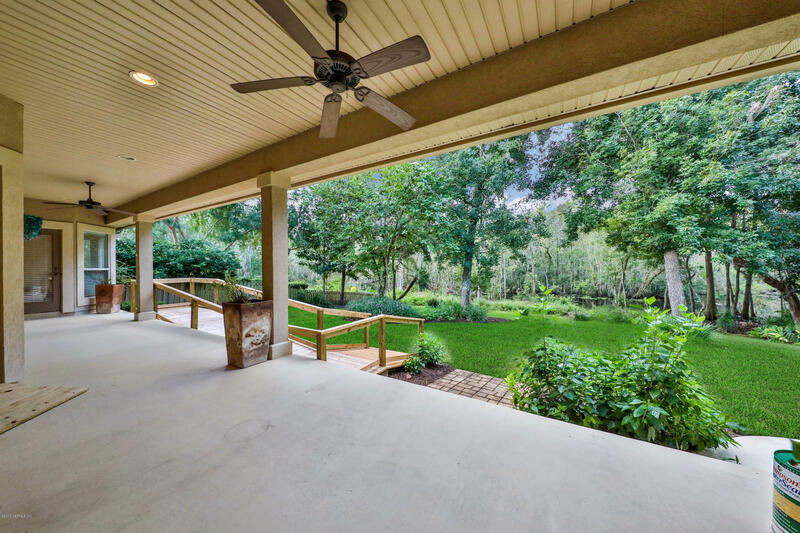 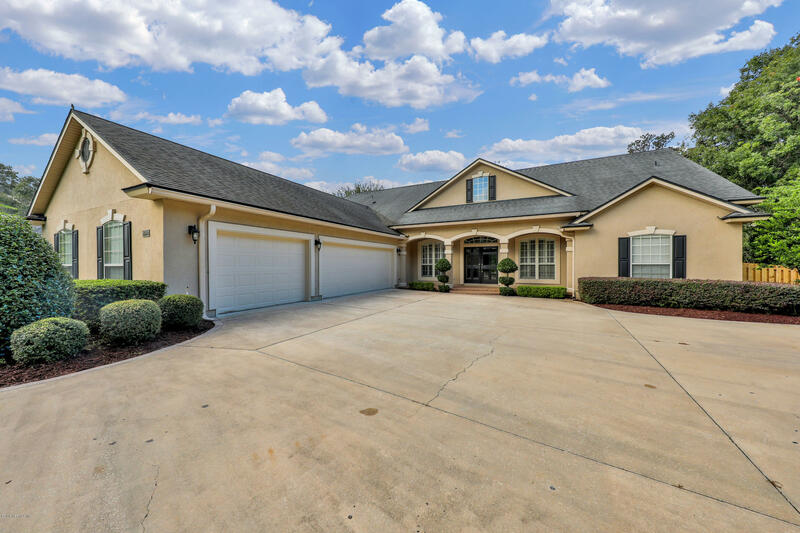 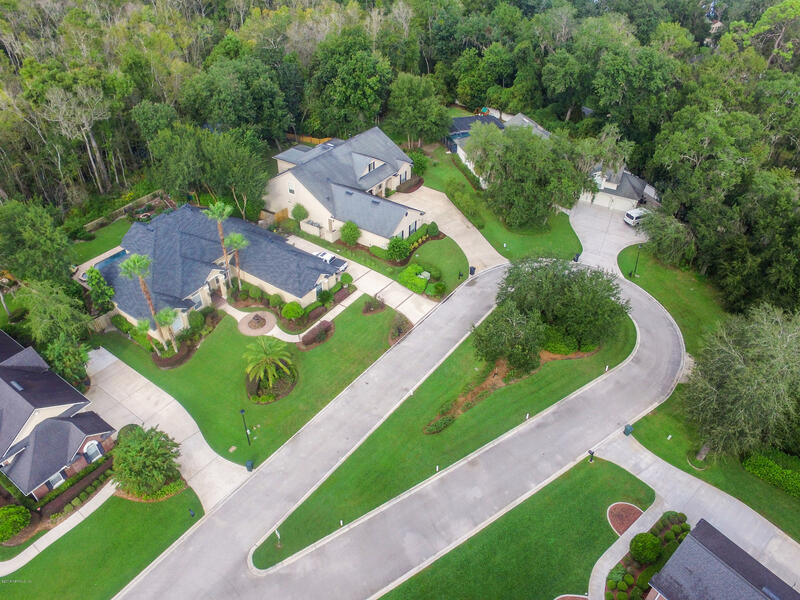 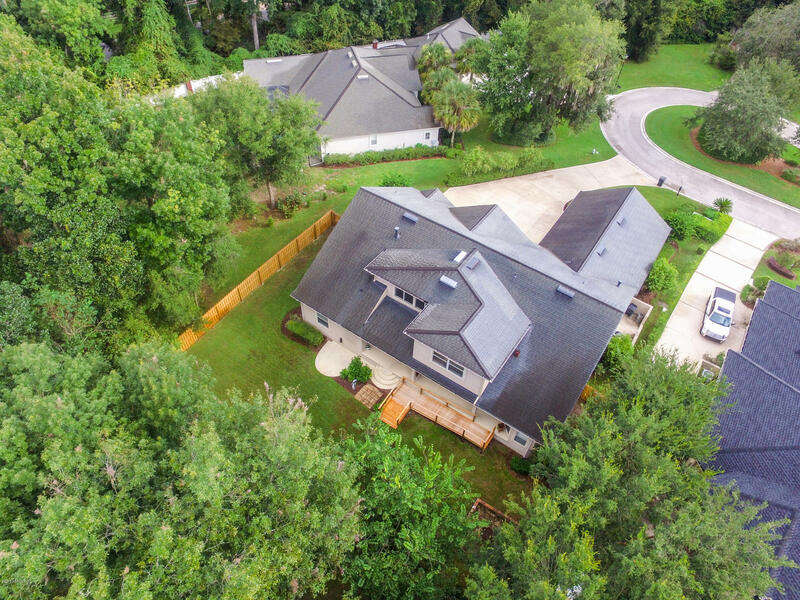 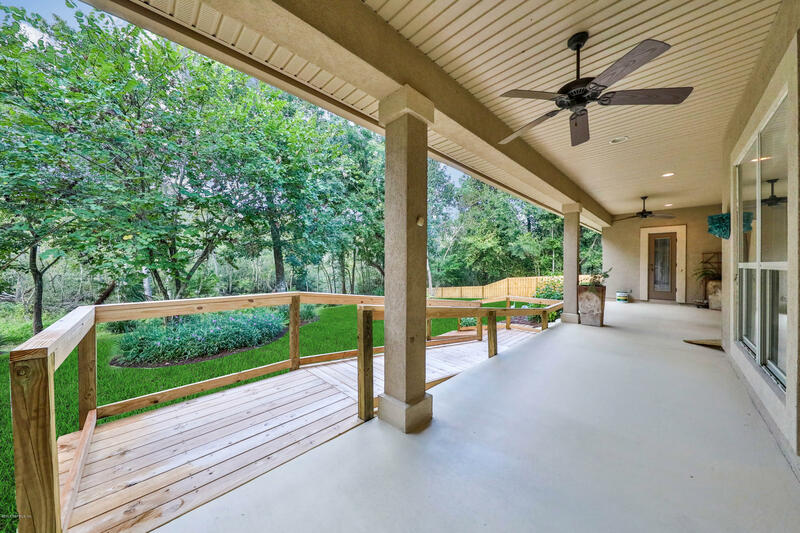 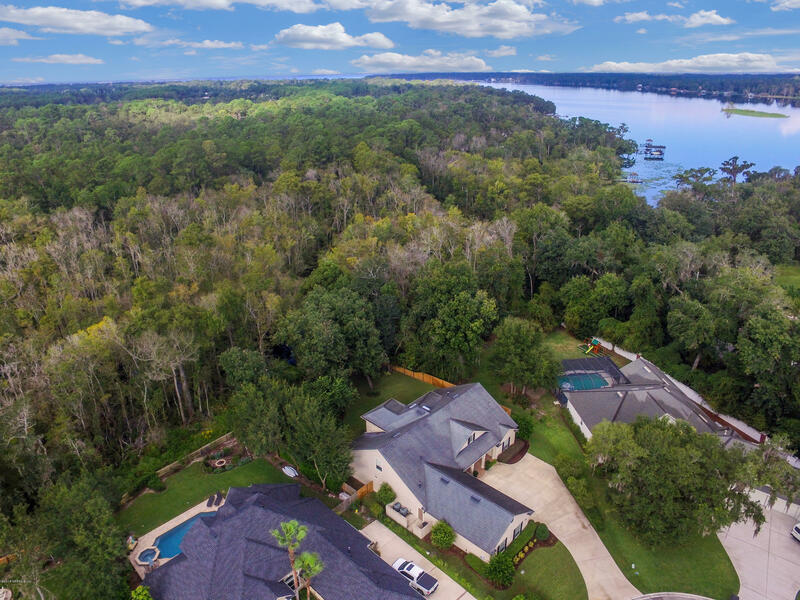 Enjoy the outdoor life in a Gated Community with A rated schools.Don't miss an opportunity to live waterfront w/ access to the St. Johns River.